It’s common for businesses to ask customers to answer a given survey questionnaire, whether it’s through an online survey or a printed material. This form of crowd sourcing provides insight on customer demands and opinions on company products or services. Companies always have a customer’s best interest in mind. Customer satisfaction plays an essential part when making important business decisions. With various types of questionnaires, there’s one common set of questions that reflects the socio-demographic aspect of an audience. 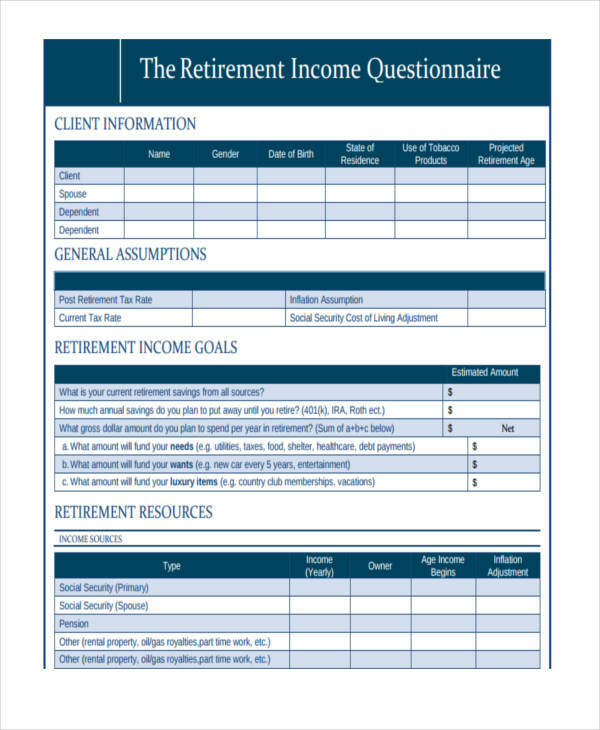 An income questionnaire helps determine whether a business is reaching its target audience in terms of service questionnaire and product pricing. 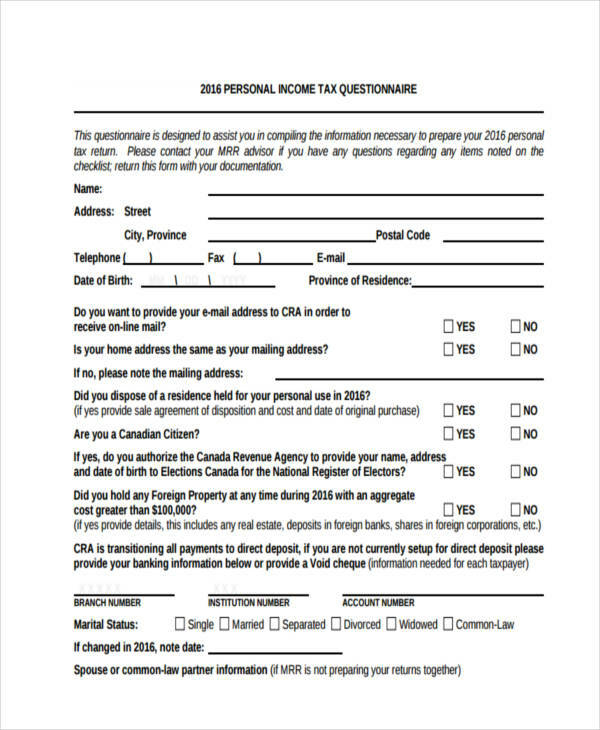 Income questionnaires contain questions related to an individual’s personal or family earnings through work or investments. 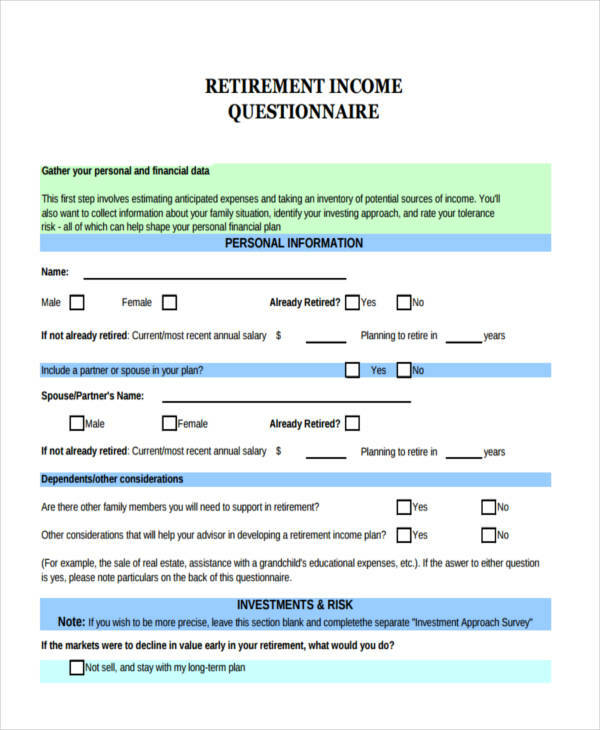 This is a common questionnaire utilized by financial institutions, such as banks and money lending businesses, to determine an individual’s financial capabilities. Aside from the individual’s salary certificate, this may determine if one can be granted a loan. 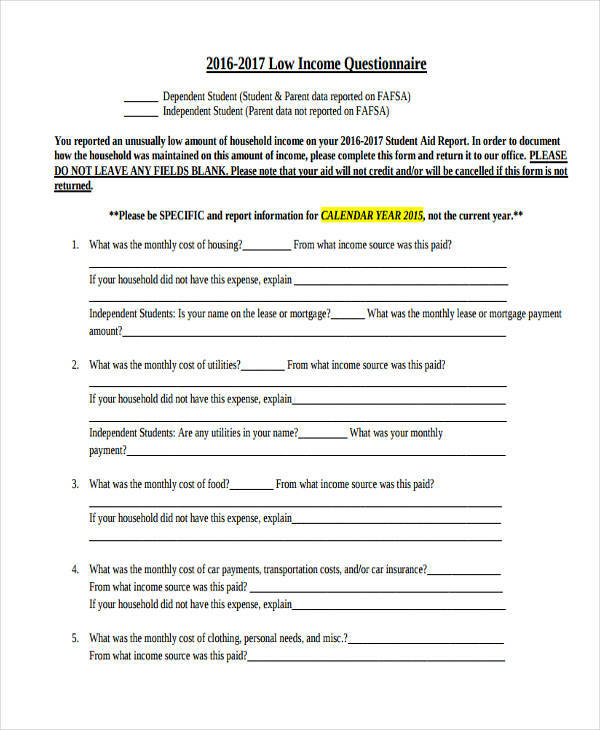 It is also a form of marketing questionnaire that provides insight on a customer’s basic needs. 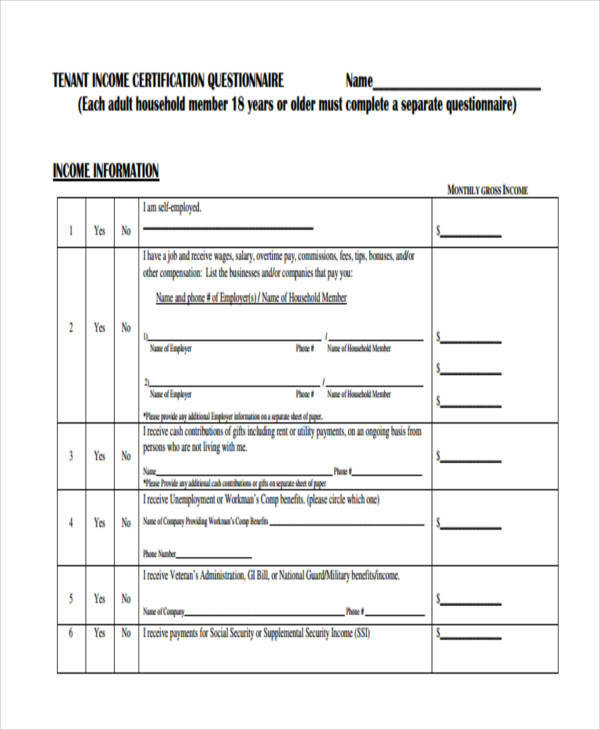 This type of business questionnaire allows companies to be sensitive to a customer’s capabilities. It enables them to provide services that will answer the needs of their customers. They will also be able to make products that are not only of top quality but fit for one’s budget as well. 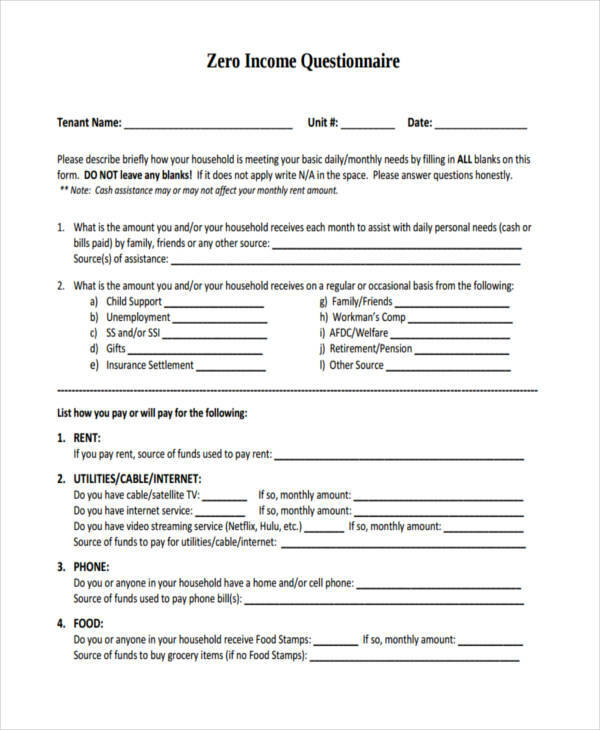 However, there are a number of challenges that come with this type of questionnaire. Even when the questions relate to an individual’s personal economic status, not everyone can provide definite answers. The questions may be too invasive or it may be too complicated. It’s also quite difficult to draw concrete conclusions. 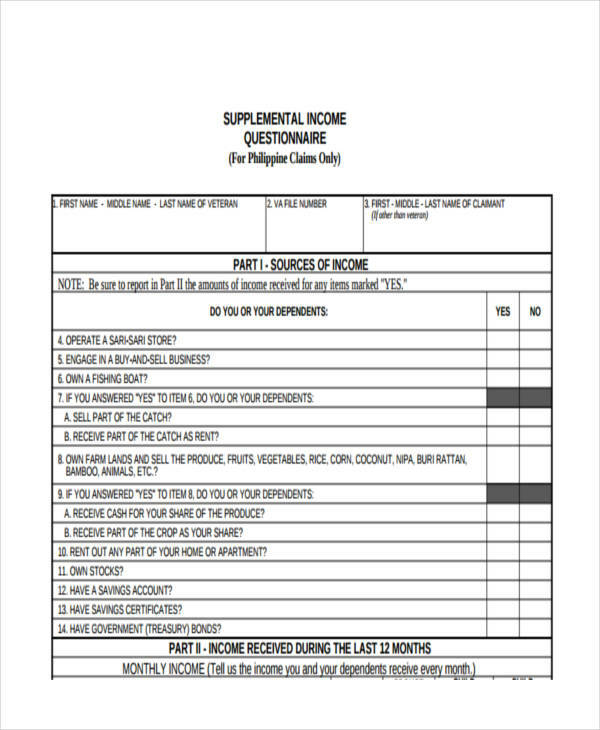 There are too many points to consider, such as one’s source of income and average expenses. 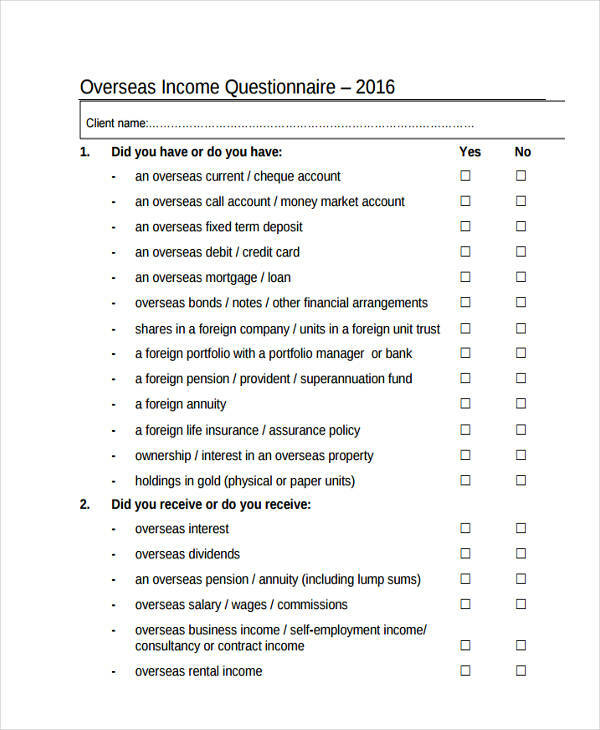 The income questionnaire must be able to cover important points in order for it to receive precise results. Know your audience. Since you are asking personal questions, make sure your target participants can relate to the questions you wish to ask them. It’s also wise to choose adults as your respondents. Provide clear instructions. Questionnaire examples always have clear instructions for respondents to easily understand. Ask relevant questions. Only ask necessary questions that may garner statistically meaningful conclusions for your survey. Be sensitive and practical. 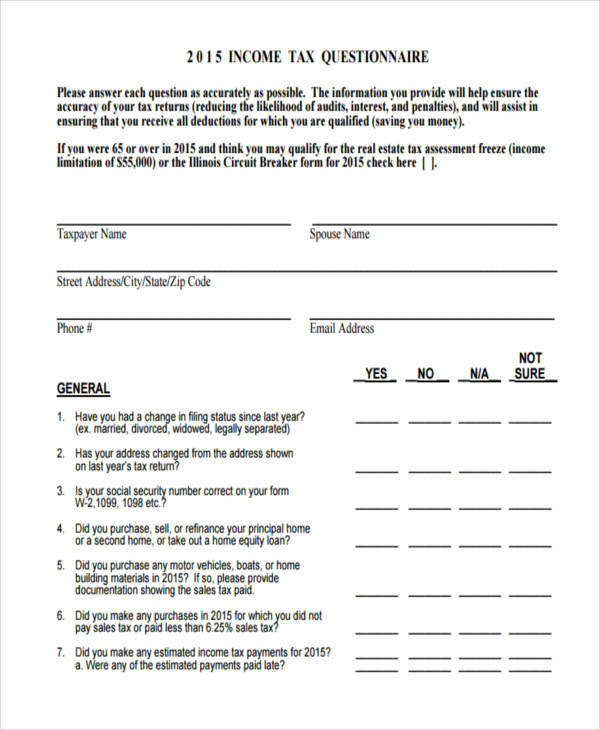 An income questionnaire may be intrusive to some. 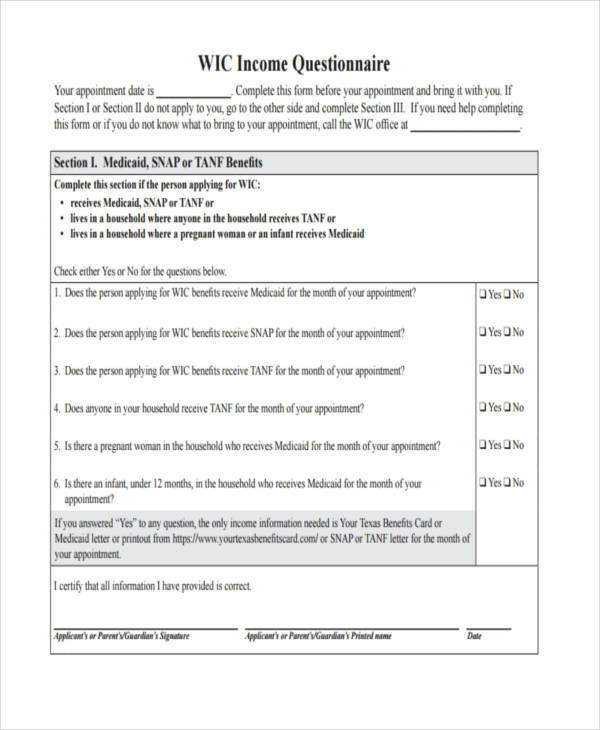 Include general questions that a respondent can openly answer without hesitation. Questions should also be simple enough to receive precise to accurate responses. Include choices for estimated amounts. When asking questions related to numerical amounts, adding choices for estimated ranges will be more efficient for you and the respondent. It will be easier for them to determine estimated amounts and for you to analyze the data.